As the University of Washington’s student-run rocketry organization, we design, construct, test, and launch a hybrid engine rocket from the ground up every year. We participate in the Experimental Sounding Rocket Association’s (ERSA) Intercollegiate Rocket Engineering Competition (IREC). In this competition, we have the chance to show what our rocket can do alongside 95 other teams from around the world. In 2018, we placed first in the highest altitude category at 30,000 feet with a student-researched and designed propulsion system. We are students at the University of Washington from all corners of academic experience. Students apart of this team can expect to gain practical hands-on experience that most other students won’t have the opportunity to get while working in countless areas: manufacturing, design software, avionics, testing, management, fundraising, and much more. A time-intensive project like this with a significant amount of individual contribution requires each member to be responsible for their work; however, there will always be experienced members on the team to help the newer members along the way. The students involved on this team have the opportunity to develop their skills and put them to the test in an high-performing environment similar to what is seen after graduation. What kind of rockets do we build? Our rocket is brand new every year. The rocket uses both a liquid nitrous oxide oxidizer and a solid paraffin wax fuel grain – that’s where the hybrid part comes in. Last year, the body of the rocket, from nose cone tip to the bottom of the fin can, was over 14 feet long and was designed to reach a speed of Mach 1.3. The rocket is designed to launch a payload, reach 30,000 feet, and be recovered after the flight. SARP is organized into five overarching teams: Structures, Avionics, Recovery, Propulsion, and Business. A team member will typically be involved in one of these teams throughout the year. We need team members from ALL majors, so whether you’re studying electrical engineering, marketing, computer science, or communications, we want you to apply. If you would like to learn more about what each team does, take a look at the descriptions below, or feel free to contact us! Under each team title, we have indicated that team’s purpose and responsibilities. Furthermore, there is a list of skills and experiences which students have the opportunity to grow while working on that specific team – we have people at all skill levels in SARP! Purpose: To provide the rocket with body tubes, rocket, fins, and couplers that will withstand multiple flights. Purpose: Develop a robust data collection system for all necessary in-flight rocket data and design and develop payload to meet competition requirements. Purpose: Develop and implement a system to ensure the safe return of the rocket to the ground with successful tracking. Purpose: To provide the rocket with safe, efficient, and reliable propulsion to achieve an altitude of 30,000 feet. Building a rocket requires the team to remain proactive with administrative support. Without funding, materials, material budgeting, budget forecasts, campus and community promotion, or future team members, there is no rocket. The business team maintains these aspects SARP, and helps support the technical teams. Experience on the business team may consist of working with companies to navigate sponsorship, reaching out around campus to promote the team, planning and organizing fundraisers, managing the documentation of each of the technical teams, financial analysis of past and future budgets and team spending, and generally being a liaison between the technical aspects of SARP and the community. 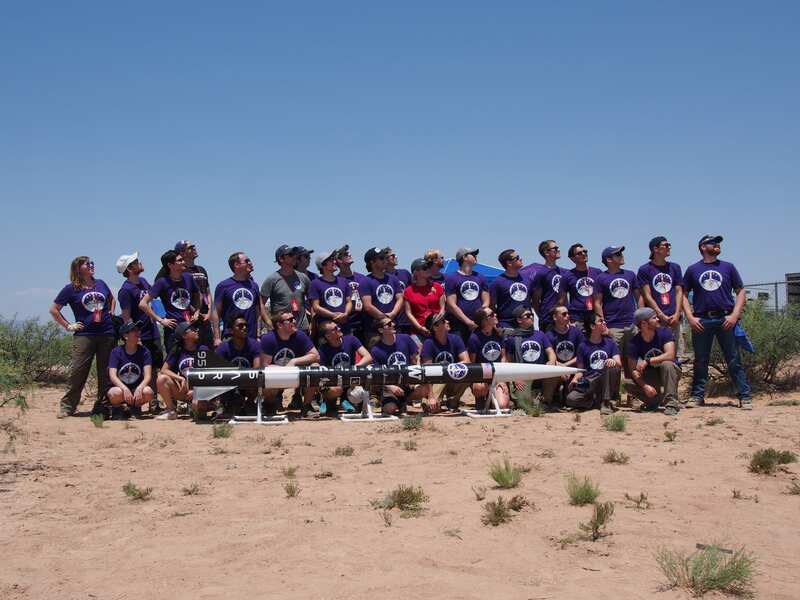 This team is comprised of engineering and business students who are dedicated to supporting the financial, marketing, and community outreach aspects of building a rocket. Those on this team have the opportunity to maintain flexible roles in both business and technical teams.